DHA’s Residential Communities are affordable rental housing properties for low to moderate income families and individuals. 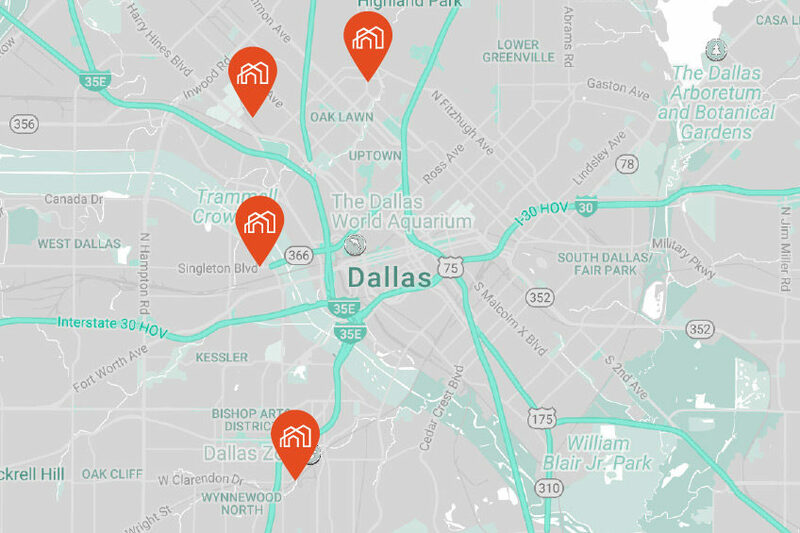 DHA operates 31 properties, which includes ~5,000 units located throughout North Texas. Qualified tenants pay 30 percent of their income for rent. The rent payment is determined by DHA based on federal guidelines. Rental units range from a studio apartment up to five-bedrooms. THERE IS A HIGH DEMAND FOR AFFORDABLE HOUSING AND WE WILL CONTINUE TO INVEST IN OUR PROPERTIES TO HELP MEET THOSE NEEDS ACROSS NORTH TEXAS. 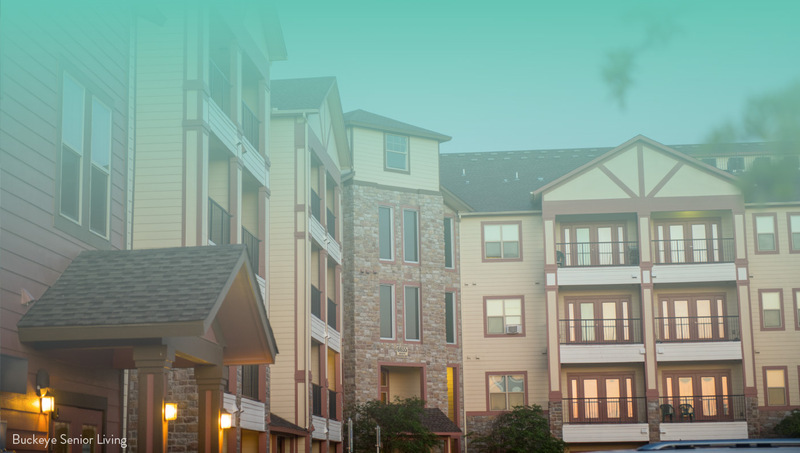 We are proud to be one of the largest developers of affordable housing in North Texas. 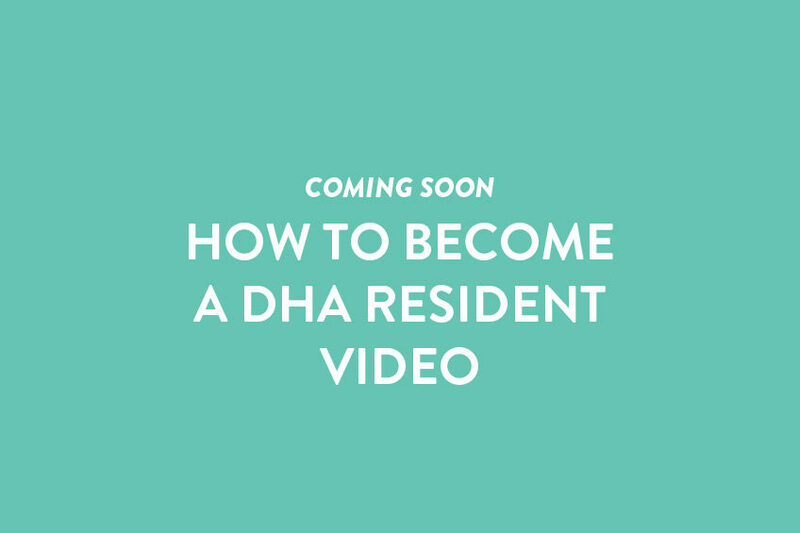 Want to learn more about the rules and requirements for becoming a DHA resident? Below are some important resources to help you understand how DHA Residential Communities works for both applicants and current residents. We have provided reference materials, frequently asked questions with answers and key contact information for your reference. Tenants are responsible for the actions and behaviors of family members listed on their lease as well as their guests who are visiting. Do not place large furniture items in front of windows or doors as those must be clear as emergency exits. DHA will inspect your unit twice per year. Tenants will be assessed charges for damages beyond normal wear and tear. Tenants are responsible for maintaining the utilities for their unit. Families must report income or family composition changes within 10 days of the occurrence. These updates can be submitted online through your management office. If you need supportive services, a Resident Services Coordinator is available to help you. Examples of supportive services include: childcare, job readiness, health and nutrition. DHA encourages each resident to be involved in their community. There are Resident Councils that host meetings with residents to discuss activities, needs and concerns of DHA residents. There are also monthly meetings with the Property Manager and representatives with the Dallas Police Department to help keep our community safe. Your Resident Services Coordinator can assist you with getting connected to your Council. Each month DHA meets with its Board of Commissioners. Clients are invited and welcome to attend these meetings. During these meetings, clients can learn about what is going on at DHA and share their feedback. The schedule of meetings can be found on our News & Events page. The Client Portal is a resource available to you 24/7 to check on work orders, rent payments, and report income/family composition changes. Your key contacts are the Resident Coordinator who is there to help with supportive services, the Property Manager who assists with management of your unit/community and your Case Manager who is responsible for managing your annual recertification and any interim changes to your household. These are recorded presentations to walk you through information you need to know. Please set aside time in a quiet place to view these presentations and have something to take notes with to help you remember key details. It’s important to understand what any lease outlines before you agree to it. DHA provides housing to qualified people, including the elderly and people with disabilities. We provide “reasonable accommodations” to applicants and residents if they or any family member has a disability. A reasonable accommodation is some modification or change DHA can make to its procedures and practices that will assist an otherwise eligible applicant with a disability to take advantage of DHA’s programs. Public housing was established to provide decent and safe rental housing for eligible low-income families, the elderly, and persons with disabilities. Public housing comes in all sizes and types, from scattered single-family houses to high-rise apartments for elderly families. There are approximately 1.2 million households living in public housing units, managed by 3,300 public housing agencies in the nation. The U.S. Department of Housing and Urban Development (HUD) administers Federal aid to local housing agencies that manage the housing for low-income residents at rents they can afford. Public housing is limited to low-income families and individuals. A Public Housing Authority (PHA) determines your eligibility based on: 1) the combined gross annual income of all members of your household; 2) whether you qualify as elderly, a person with a disability, or as a family; and 3) U.S. citizenship or eligible immigration status and 4) other screening criteria such as passing a criminal background check and if you are free of any debt to DHA or any other public housing agency. If you are eligible, the PHA will check your references to make sure you and your family will be good tenants. PHAs will deny admission to any applicant whose habits and practices may be expected to have a detrimental effect on other tenants or on the project’s environment. WHAT IS THE WAIT TIME FOR PUBLIC HOUSING ASSISTANCE? DHA owns and operates over 5,000 units of rental housing which are in high demand and fully occupied. When a resident vacates a DHA unit, DHA promptly selects another applicant from the waiting list, evaluates eligibility and offers a rental unit to qualified applicants. The time applicants wait to be selected varies based on the number of vacancies and the number of applicants on the waiting list and the type and size of unit needed. DHA averages 100 vacancies per month. DHA is in the process of reviewing applications and working with applicants every day. Applicants are selected from the waiting list by lottery / random selection. If you haven’t been selected for housing assistance within 18 months, you must re-apply. CAN I APPLY FOR BOTH DHA-OWNED PROPERTIES AND HOUSING CHOICE VOUCHERS AT THE SAME TIME? Yes. Applicants may submit an application for any DHA housing development or housing program during open enrollment. HOW ARE APPLICANTS SELECTED FROM THE WAITING LIST? DHA selects applicants from its site-based waiting list based on lottery / random selection. Applicant’s selected from the waiting list are notified by email and instructed on next steps. Applicants apply online through DHA’s Applicant Portal. To apply applicants must register online. Applicants may also check the status of their application and it is the applicant’s responsibility to keep their information updated through the Applicant Portal. DHA will retain applications for up to 18-months. DHA selects applicants from the waiting list by lottery. As a result, the status applicants will obtain from DHA is if their position on the waiting list is active or inactive. DHA accepts preliminary applications on-line only. Either you or someone you trust may assist you to complete the preliminary application on-line. If you are disabled and need assistance a DHA representative is available to help. (7) The PHA also may visit you in your home to interview you and your family members to see how you manage the upkeep of your current home. After obtaining this information, the HA representative should describe the public housing program and its requirements and answer any questions you might have. Yes, the DHA representative will request whatever documentation is needed (e.g., birth certificates, tax returns) to verify the information given on your application. DHA will also rely on direct verification from your employer, etc. You will be asked to sign a form to authorize release of pertinent information to the DHA. DHA will provide written notification of your eligibility. If DHA determines that you are eligible, your records will be sent to the leasing office of the development you selected when you submitted your application. The leasing professionals will contact you and invite you to the rental office to view the rental unit, sign a lease agreement and receive the keys to your apartment. If it is determined that you are ineligible, DHA will notify you in writing and disclose the reason(s) you were denied and offer you the opportunity to request an informal hearing. If you wish, you can request an informal hearing. If you are offered a house or apartment and accept it, you will have to sign a lease with DHA. You may have to give DHA a security deposit. You and the DHA representative should review the lease together. This will give you a better understanding of your responsibilities as a tenant and the DHA’s responsibilities as a landlord. Sometimes there are. Giving preference to specific groups of families enables a Housing Authority to direct their limited housing resources to the families with the greatest housing needs. Since the demand for housing assistance often exceeds the limited resources available to HUD and the local Housing Authorities, long waiting periods are common. In fact, a Housing Authority may close its waiting list when there are more families on the list than can be assisted in the near future. Each Housing Authority has the discretion to establish preferences to reflect needs in its own community. These preferences will be included in the Housing Authority’s written policy manual. You should ask what preferences they honor so you will know whether you qualify for a preference. Your rent, which is referred to as the Total Tenant Payment (TTP) in this program, is based on your family’s anticipated gross annual income less deductions, if any. HUD regulations allow HAs to exclude from annual income the following allowances: $480 for each dependent; $400 for any elderly family, or a person with a disability; and some medical deductions for families headed by an elderly person or a person with disabilities. Based on your application, the HA representative will determine if any of the allowable deductions should be subtracted from your annual income. Annual income is the anticipated total income from all sources received from the family head and spouse, and each additional member of the family 18 years of age or older. WHY DID MY APPLICATION EXPIRE? Applications are retained for up to 18 months. Applications submitted that are older than 18-months are automatically purged from the waiting list. Applicants whose application is purged may reapply for housing assistance. CAN I TRANSFER MY AFFORDABLE HOUSING ASSISTANCE TO ANOTHER AGENCY OR STATE? No. When a client resides in a dwelling unit owned by DHA, the affordable housing assistance is tied to the unit, not the resident, and cannot be transferred to another public housing agency or state. WHAT’S THE DIFFERENCE BETWEEN SECTION 8, THE HOUSING CHOICE VOUCHER AND PUBLIC HOUSING? Public housing assistance is tied to the unit, not the family and cannot be transferred. Section 8 is now called the Housing Choice Voucher (HCV) Program. The HCV Program provides eligible clients with a voucher and financial assistance that pays a portion of their rent to a private market property owner or landlord. The Housing Choice Voucher client may relocate with continued assistance to another dwelling unit within the jurisdiction of the Public Housing Agency. DHA’s jurisdiction covers seven counties in Texas. Additionally, the Housing Voucher program has a feature known as “portability” where the voucher can be transferred to another jurisdiction. For example, a voucher participant may transfer from Dallas, Texas to Philadelphia, Pennsylvania with continued rental housing assistance. WILL MY NAME AUTOMATICALLY BE ADDED TO THE SECTION 8/HOUSING CHOICE VOUCHER WAITING LIST AFTER I HAVE LIVED IN A DHA-OWNED PROPERTY FOR 1-YEAR? No. Applicants may apply for the Housing Voucher Program during open enrollment. CAN I CHOOSE WHERE I WANT TO LIVE? CAN I SUBMIT AN APPEAL IF I AM DENIED? Applicants denied admission to public housing program may request an informal hearing. Requests for an informal hearing must be received at DHA within 14 days of the date the notice is digitally transmitted or postmarked. The informal hearing provides applicants with the opportunity to explain circumstances or present information to an independent hearing officer regarding reasons the applicant should not be denied. The determination of the hearing officer is final. DOES DHA CONDUCT CRIMINAL BACKGROUND CHECKS? Yes. DHA checks the criminal background on all applicants and participants age 18 and older in determining their eligibility to meet housing assistance and eligibility criteria. And background checks are also conducted annually. HOW DO I REPORT CHANGES TO MY APPLICATION? Any changes to household composition or contact information such as e-mail or physical mailing address should be reported to DHA through the Applicant Portal. CAN I ADD OTHER HOUSEHOLD MEMBERS TO MY APPLICATION? Applicants may add or remove members from their application. However, any added household member(s) must meet the Program Eligibility Criteria. HOW DO I REQUEST A REPAIR WORK ORDER? Residents may submit a work order service request through the Client Portal. DO I HAVE TO NOTIFY DHA OF GUESTS WHO ARE STAYING AT MY HOME? Yes. If a guest/family member who is not listed on your lease is planning to stay with you for more than a week, you are required to notify your property manager in writing (email or letter). WHAT IS THE ROLE OF THE HOUSING AUTHORITY? A Housing Authority is responsible for the management and operation of its local public housing program. They may also operate other types of housing programs. (1) On-going functions: (a) Assure compliance with leases. The lease must be signed by both parties; (b) Set other charges (e.g., security deposit, excess utility consumption, and damages to unit); (c) Perform periodic reexaminations of the family’s income at least once every 12 months; (d) Transfer families from one unit to another, in order to correct over/under crowding, repair or renovate a dwelling, or because of a resident’s request to be transferred; (e) Terminate leases when necessary; and (f) maintain the development in a decent, safe, and sanitary condition. (2) Sometimes Housing Authorities provide other services that might include such things as: home ownership opportunities for qualified families; employment training opportunities, and other special training and employment programs for residents; and support programs for the elderly. If, at reexamination your family’s income is sufficient to obtain housing on the private market, the Housing Authority may determine whether your family should stay in public housing. Residents of DHA-owned housing with questions or concerns should contact the on-site property manager and the property management office for inquiries or for work orders. Property manager contacts are published in the Property Search section.